The Women’s Business Development Center (WBDC) will celebrate the first anniversary of its Women Vetrepreneurship Program (WVP) by launching “Back to Basics: Building Your Business Boot Camp” (B2B) in partnership with The PrivateBank. 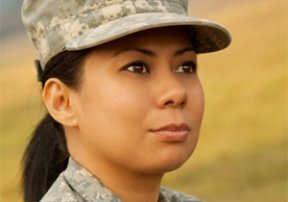 A kick-off celebration will be held at the Pritzker Military Library and Museum, 104 S. Michigan Avenue, on Wednesday, February 5, from 5:30 to 7:30 p.m.
At the event, women veterans will have the opportunity to sign up for a free, 16-week “basic training” program in sessions that focus on business development, marketing research, pricing strategies and financial requirement, according to WVP director and Desert Storm Army veteran Nicole Mandeville. The entrepreneurial training, which deploys Thursday, March 6th, will be held at the Apostolic Church of God, 6320 S. Dorchester Avenue, Chicago. The B2B training series is sponsored by The PrivateBank. The PrivateBank will operate and manage a microloan fund specifically for the B2B program graduates, content advisors and mentors with loans up to $10,000 for start-ups and a maximum of $25,000 for qualifying existing business.